There are many unique things to do in Ashe County, NC. But one place that is special to locals and travelers alike, is Ashe County Cheese – the oldest cheese plant in the Southern Region of the United States. Be sure and check out the Cheese Making Schedule (updated weekly) while you’re in town to watch cheese being made! The factory has a viewing area where you can watch the entire process from start to finish. Across the road from the factory is the Ashe County Cheese Store. In the store you can try a wide variety of original cheeses, unique to Ashe County Cheese, browse their selection of souvenirs, or check out the old fashioned candy corner! People drive from far and wide for this Ashe County delicacy. Also known as “squeaky cheese,” cheese curds are a fan favorite. Take advantage of the photo op in front of the giant cows! Ask just about anyone you see where Ashe County Cheese is located and they’ll mention the three large cows that are located outside. These cows are actually milk tanks with a festive twist. 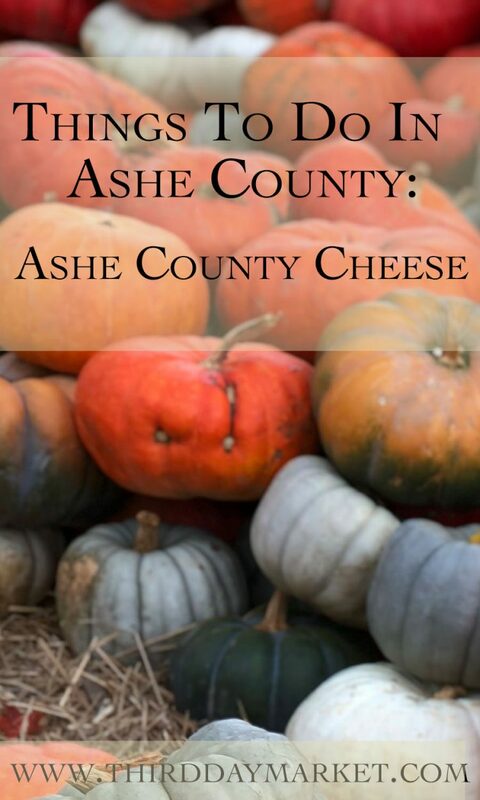 They make for a fun and festive backdrop for the perfect photo to remember your trip to Ashe County Cheese! Ashe County has a lot to offer – mountain views, good shopping, great dining spots. But we also have a few hidden gems that are specifically unique to us. Be sure and visit Ashe County Cheese while you’re in the area, because it’s sure to be an experience you won’t forget.